Channelsoftech is a professional web designing & developing company that offers affordable web designing services. The website designing services offered by us empower individuals, teams and organizations in the most efficient manner. The web designers at Channelsoftech have the creative talent and technical expertise to develop websites. Our customized web sites are suitable for most people and can start from just one simple page with an email link, building up to a more complex web site in terms of content and design. As the site has been built to your specification, you can have as much or as little input into the design as you wish. 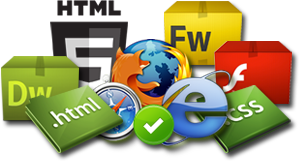 We have an efficient web development by which you can make your own website. We develop customized website designs for our clients to make their own websites. We have different and effective content management for website depending upon our clients business. What makes us the ultimate choice for Web Development is the experience. Need Analysis & RFP creation. HTML Coding & Java Scripting.